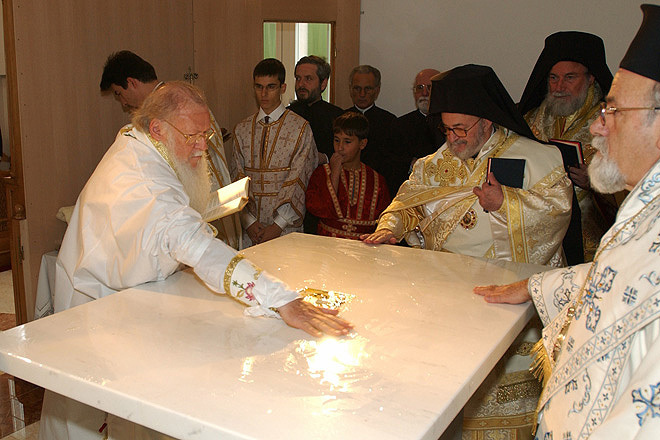 During the consecration of a new Orthodox Church in Basel, Switzerland, holy chrism or myrrh is poured by Ecumenical Patriarch Bartholomew I over relics placed inside the altar. 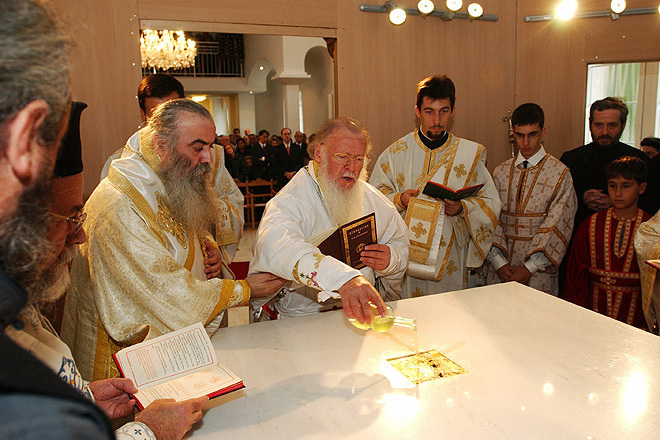 After the relics have been placed inside the altar, the case is sealed. After the relics have been placed inside the altar myrrh is poured over them. 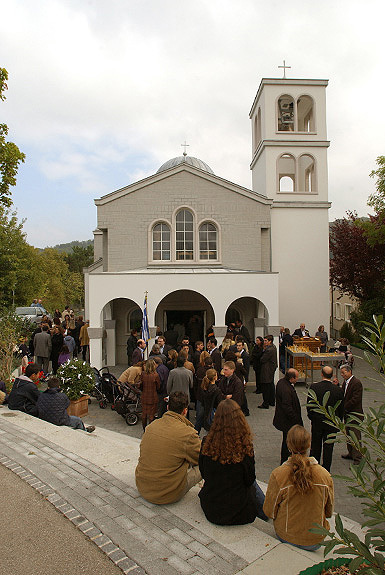 The new Orthodox Church in Münchenstein, Basel. 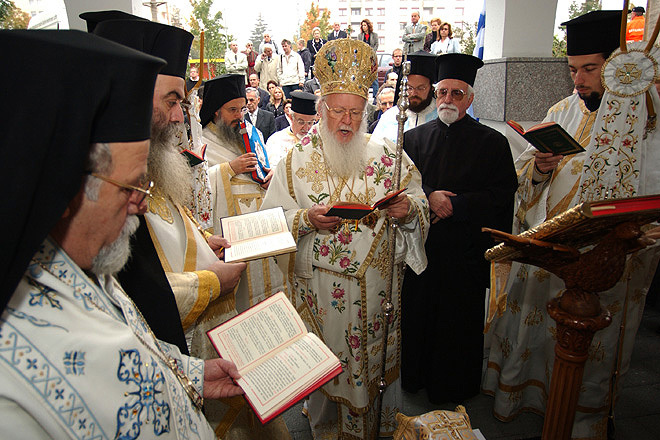 Consecration of the Orthodox Church in Münchenstein, Basel, by the Ecumenical Patriarch Bartholomew. 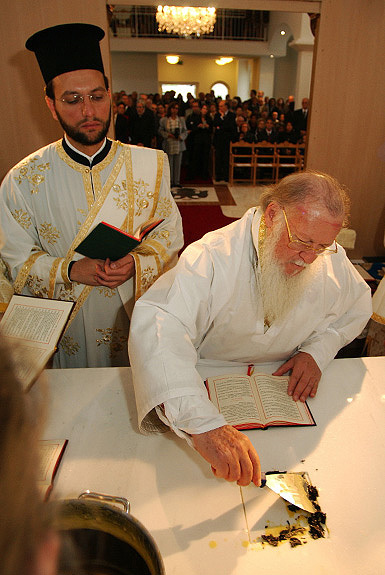 Before the relics are placed inside the altar they are carried in a procession around the church during the consecration of the Orthodox Church in Münchenstein, Basel, by the Ecumenical Patriarch Bartholomew. 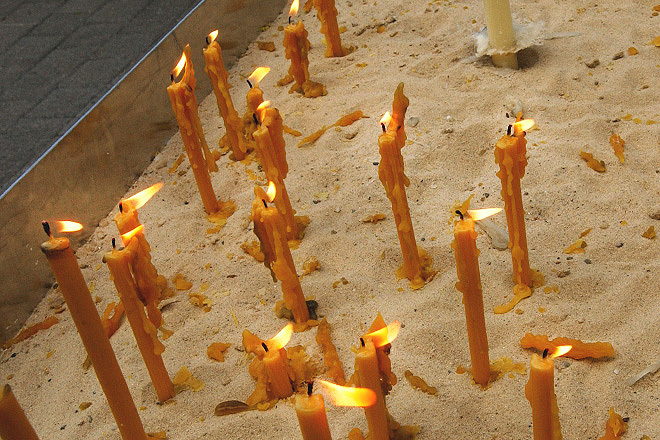 Candles are lit outside the new Orthodox Church in Münchenstein, Basel. 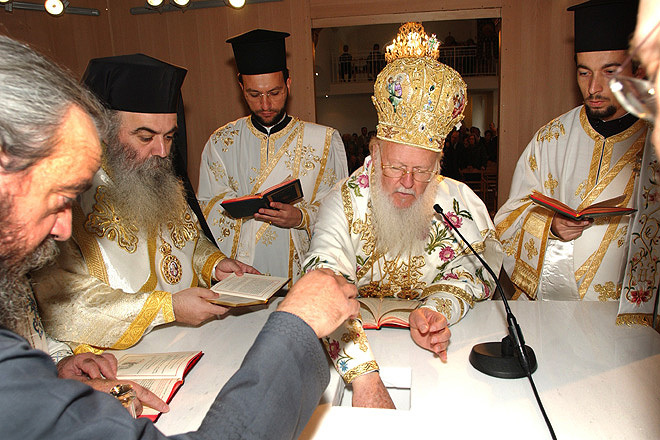 The first Eucharist is offered by the Ecumenical Patriarch Bartholomew following the consecration of the Orthodox Church in Münchenstein, Basel. 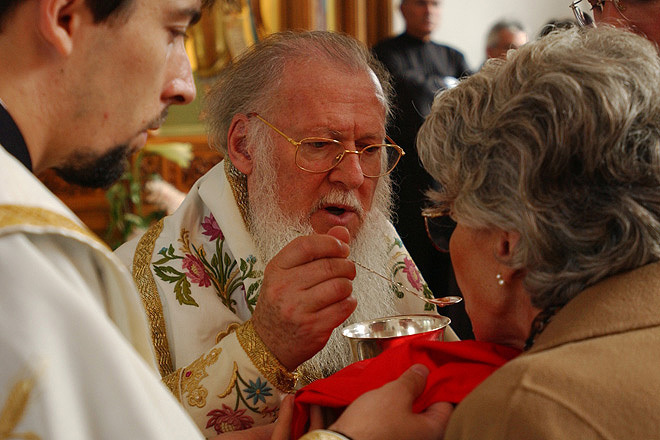 Blessed bread is offered during the first Eucharist led by the Ecumenical Patriarch Bartholomew following the consecration of the Orthodox Church in Münchenstein, Basel. 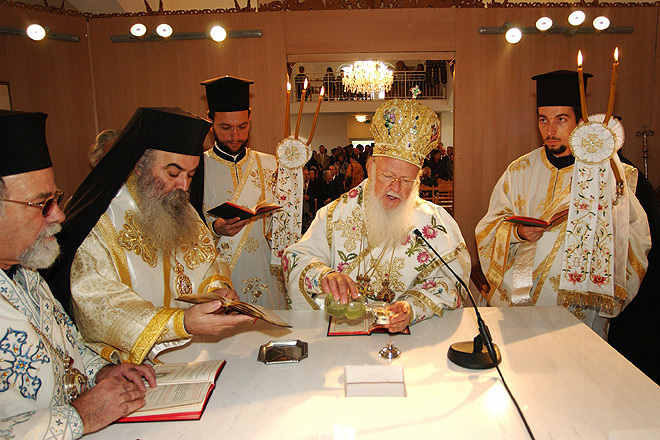 A liturgy is celebrated following the consecration of the new Orthodox Church in Münchenstein, Basel. 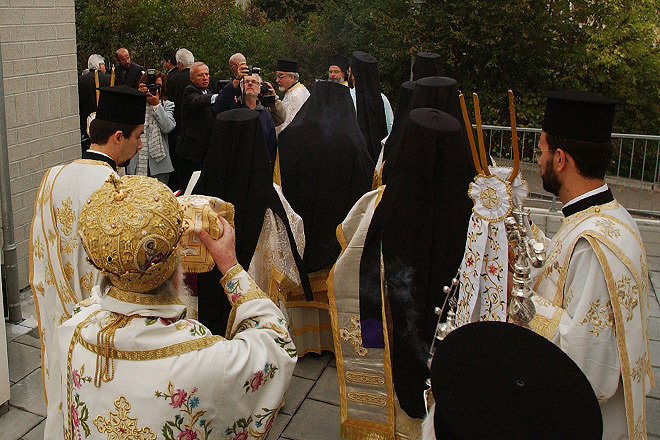 Preparation of the Eucharist during the consecration of the Orthodox Church in Münchenstein, Basel. 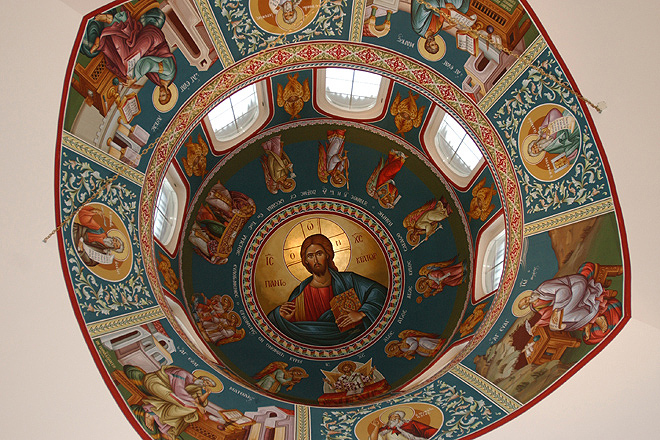 Images of the apostles are fixed to the altar with myrrh. Following the installation of the relics, the altar is cleaned.